Dr. Douglas Sims Jr. Welcomes You! 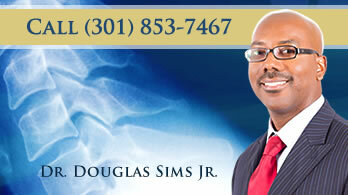 Our chiropractic website is especially designed for health-conscious folks in Hyattsville. At Sims Chiropractic Center our mission is to provide alternative healthcare services to individuals seeking wellness care in part or due to injury, dis-ease(s) or preventative care. We aim to educate our patients on the five factors of health: diet, exercise, rest, positive mental attitude and wellness care so that they will incorporate these vital factors into their lifestyle habits. Find out why other Hyattsville and Washington DC metropolitan-area residents prefer the chiropractic care that we provide at Sims Chiropractic Center. Call our Hyattsville chiropractic office to arrange a consultation today and find out if you’re a good candidate for today’s chiropractic care! Hyattsville, College Park, MD & Washington DC communities.